The main campus of the Nebraska Medicine health system. 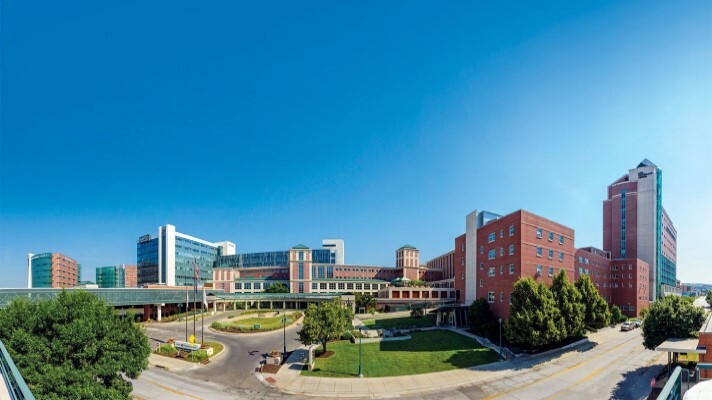 Nebraska Medicine operates two hospitals with more than 1,000 physicians, 809 licensed hospital beds and 40 specialty and primary care clinics in and around Omaha, Nebraska. The health system has been on the Epic electronic health record system since 2009. Using Epic simplified the process of creating and managing patient files, but Nebraska Medicine physicians still spent a good deal of their time adding patient information into the EHR, due in part to the need to be located at workstations to manually input patient notes. There was general dissatisfaction with the clinical documentation process and the time and effort required to complete patient documentation. The health system began looking for a more proactive approach to tackling the quality of care and clinical documentation requirements. Physicians also expressed the desire for mobility to be able to complete their documentation from anywhere, anytime. Nebraska Medicine started exploring voice recognition technology that could help achieve the organization’s goal to increase physician satisfaction by making documentation faster and more efficient. In 2016, the health system began introducing its physicians to Nuance Communications’ Dragon Medical One, an enterprise-wide, cloud-enabled, voice recognition platform. Also part of the package was PowerMic Mobile, which enables physicians to use their mobile devices to dictate notes from anywhere. Dragon Medical Advisor, Nuance’s computer-assisted physician documentation system, which analyzes physician notes in real time and suggests specific additions to help ensure compliance and completeness of clinical records, was also part of the implementation. There are a great many voice recognition technology vendors on the market today, such as Braina, eCareNotes Speech Recognition, Go Transcribe, iSpeech Translator, M*Modal Fluency for Transcription, NextGen Mobile Solutions, SpeechLogger, Speechmatics, SpeechTexter, VoiceboxMD, Voicepoint Dragon Medical Practice and Winscribe Speech Recognition. Some vendors focus on healthcare while others are more general but can be used in clinical settings. With the PowerMic Mobile software, physicians can speak their notes into a range of devices, including standard smartphones, anytime, from anywhere, using a single voice profile, capturing the complete patient narrative and entering it directly into the EHR in real time. Dragon Medical Advisor gives immediate feedback to doctors whose notes might be missing critical information needed for billing or other departments downstream, to ensure compliance with federal regulatory requirements. If an issue is flagged, doctors can immediately add to or amend their notes as needed – ultimately improving coding compliance. 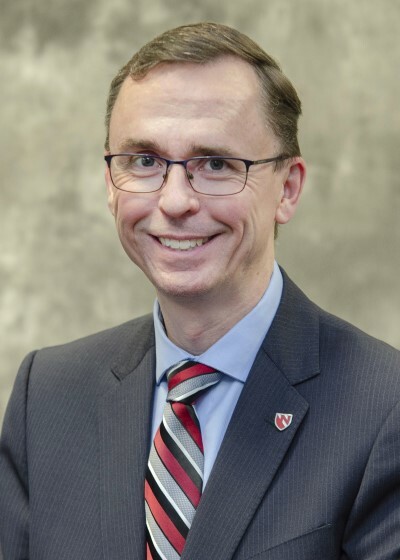 “Through the Dragon Medical One Enterprise Solution, care team members have immediate access to the clinical documentation to help guide future medical actions – enabling more personalized, higher-quality patient care,” said Dr. Michael Ash, executive vice president and chief transformation officer at Nebraska Medicine. Since implementing the suite of voice technologies, Nebraska Medicine has seen a 23 percent reduction in transcription costs. Further, 94 percent of users report the software is enabling them to do their jobs better, 71 percent of users report the quality of their documentation has improved significantly, and 50 percent of users report the software saves them more than 30 minutes a day, Ash reported. The systems integrate seamlessly with the EHR and can be accessed from a single, cloud-based voice profile from the clinic – or at a clinician’s home – adding flexibility to physician schedules. “We’ve also found that physicians enter notes into the system much sooner after meeting with patients, leading to notes that are more extensive and complete,” he observed. Next up, Nebraska Medicine is working with Nuance to pilot their new ambient clinical intelligence software, which was unveiled at HIMSS19 earlier this year. The physicians are excited by the potential of allowing them to focus on face-to-face interactions with patients while creating notes and actions within the EHR, he added. The goal is patient-to-provider interactions versus looking at the back of the provider’s head while they type their notes, he concluded.